Discover a culturally competent model of clinical case management in mental health practice settings. 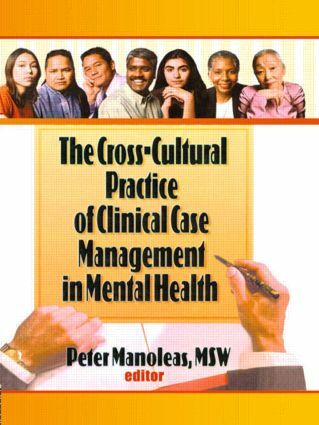 In The Cross-Cultural Practice of Clinical Case Management, author Peter Manoleas synthesizes some of the existent thinking on case management in cross-cultural psychotherapy settings and develops an effective model of clinical case management for mental health practitioners. The person-in-environment approach leads mental health professionals to realize that case managers and their clients must deal with a variety of cultures within the treatment environment. Rehabilitation programs, substance abuse programs, public assistance, the police, and especially psychiatry itself, are each characterized by their own 'cultures.’These may, at times, conflict with or present significant dissonance with the client's own ethnic culture. The Cross-Cultural Practice of Clinical Case Management advocates that the role of “culture broker” be added to the list of activities for effective clinical case managers. The Cross-Cultural Practice of Clinical Case Management is of interest to practicing mental health professionals in the public sector as those systems convert from individual therapy to case management models of service delivery. Increasing numbers of ethnic minorities in public systems and the emphasis on cultural competence will make all of the topics of interest to many readers.